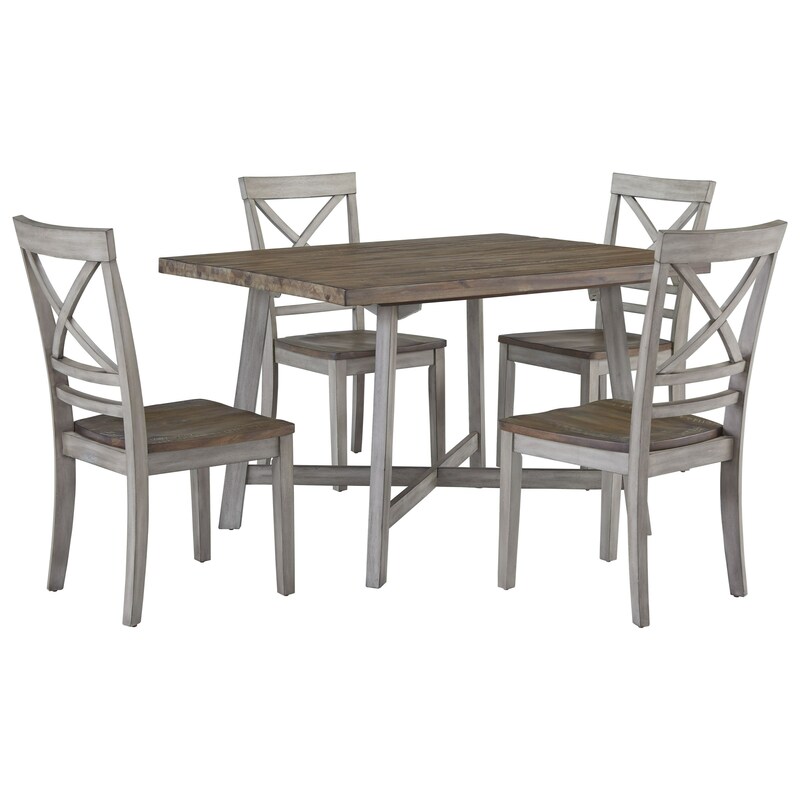 This table and chair set is perfect for a breakfast nook or casual dining. The set has a wonderfully distressed two-tone finish adding rustic character to the clean design. The side chair have X-backrests matching the X-shaped stretcher of the table. The Fairhaven Rustic Two-Tone Table and Chair Set by Standard Furniture at Miskelly Furniture in the Jackson, Pearl, Madison, Ridgeland, Flowood Mississippi area. Product availability may vary. Contact us for the most current availability on this product. The Fairhaven collection is a great option if you are looking for Casual furniture in the Jackson, Pearl, Madison, Ridgeland, Flowood Mississippi area.